Interferenz, Interferência, Interference… NTRFRNZ is pronounced in many ways. It is an online radio program, broadcast every Monday at 10pm (UTC minus 3 hours) via Facebook live video. 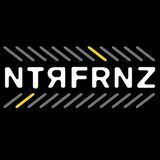 NTRFRNZ is about sounds, especially music, and the people who make them in very many different forms and styles.